Neem Oil Pesticide - Which Bugs Do Neem Pesticides Control? What pests can neem oil based pesticides be used for and how should they be used? I already wrote about neem insecticide here. On that page I explained what neem oil does, how it affects insect pests and I gave instructions for the use of neem oil as a pesticide. But not all pests are insects and not all insect pests are equally affected by neem based pesticides. What pests can neem oil based pesticides be used for and how should they be used? And how do neem products affect the creatures we don't want to harm? That are the most common questions. Below is a growing list of pests, beneficial insects and other critters and information about how neem pesticide affects them. Further down is a form where you can submit your own questions about neem oil pest control issues that aren't covered yet. Also check below the form for answers to previously submitted questions. Have you used neem oil based pesticides? 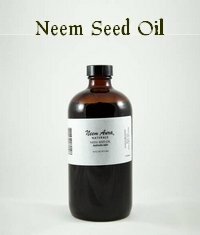 Other readers would love to hear about your first hand experiences with neem. Enter a title for your story or question. Click below to read about other readers' experiences and questions about neem pesticides. Will neem oil work on white flies? My tomatoes and squash plants are totally covered in them. Neem oil and trees? Shrubs? Flowers? Is neem oil harmful to the bees or to butterflies? I have a great bee population that I don't want to jeopardize. Is neem oil safe for them? Does neem oil control chinch bugs in yard? Will neem oil control/kill flea beetles? What about neem leaves as an insecticides please? Does neem oil control fruit fly? Hi, does neem oil control/kill fruit fly on tomatoes? 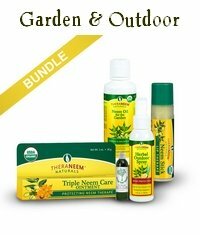 Neem oil (product) for mites in the house? 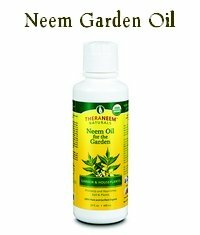 Is neem oil harmful to fish and amphibians? I've read about neem oil for head lice and scabies, but what is the treatment for body lice (not pubic)? You say to use soap to make neem spray work. Does that also apply to human neem spray, please?